For nearly half a century, America has led some of the most complex missions with robotic landers throughout our solar system, including bold landings on Mars and asteroids. But most Americans are surprised to hear that since 1972 we haven’t had a crewed or robotic lander conduct science and exploration on the moon. Although NASA has placed the occasional orbiter around the moon and even intentionally impacted a spacecraft into the surface, the nation has not had a lander capable of advanced surface science and exploration since Apollo. In retrospect, it’s striking that the global leader in space exploration went from safely landing and returning astronauts from the lunar surface to lacking the national capability to land even the smallest of payloads on the lunar surface for nearly 50 years. During this gap, our international competitors have pressed on. Most recently, Chinese landers and rovers have accessed the lunar surface, while numerous others have outlined their own near-term lunar plans. Where America once undeniably led in lunar science and exploration, other countries have stepped in to demonstrate new leadership on the moon. Fortunately, over the last decade, a number of American companies have been working with NASA to develop robotic lunar lander systems with an eye towards capturing the emerging global market of small payloads. Governments, academia and the private sector have all demonstrated demand for affordable access to the surface of the moon through small lander services. As we prepare to mark the 50th anniversary of the first Apollo lunar landings, we’re on the cusp of an exciting return to our nearest planetary neighbor with the administration’s 2019 proposed budget for NASA. Through an affordable approach called the Lunar Exploration and Discovery Program, NASA can once again pursue new lunar frontiers with its own payloads on lander systems developed by U.S. industry. For instance, the agency would finally be able to prospect for lunar water ice, evaluate lunar caves for astronaut habitability, return new lunar samples to Earth from previously unexplored sites, land and explore at the far side of the moon, demonstrate polar operations at the peaks of persistent light, measure the nature and evolution of the lunar interior from the crust to the core and analyze magnetic anomalies on the lunar surface. All of these objectives have been identified by numerous planning and guidance documents over the decades since Apollo, such as NASA’s Strategic Knowledge Gaps, or the National Academies’ planetary science decadal survey. Thanks to many at NASA, Congress, the White House and industry, America’s imminent return to the moon has been years in the making. Three years ago, through its Advanced Exploration Systems division, NASA instituted the Lunar CATALYST Program, which is providing in-kind expertise and assistance to lunar lander companies like ours. And in December, President Trump signed Space Policy Directive 1, which directed a U.S. return to the moon. Now with the Administration’s new NASA budget proposal, we stand at another major affirmative moment in our effort to return America to the moon. So what makes this proposed program a compelling means to finally end America’s near 50-year absence on the moon? First, NASA’s proposed lunar program is smartly structured because it works with exploration programs already in development. The Small Lander Initiative within the proposed budget would enable small robotic landers, like Astrobotic’s Peregrine, to complement the upcoming NASA crewed Exploration Missions on SLS/Orion to the Lunar Orbiting Platform-Gateway. Small landers could enable telerobotic access to the surface and mission profiles for lunar sample return to Earth using Orion. Having these landers work in concert with the Gateway would be the first step toward an ecosystem of public-private activity on and around the moon. Next, it’s fast. The Small Lander Initiative would get robotic landers to the lunar surface by 2020. No significant shifts in the agency’s budget are needed to leverage what’s already happening in the private sector. There’s no need to wait for a half-decade for new landers to be designed from scratch. 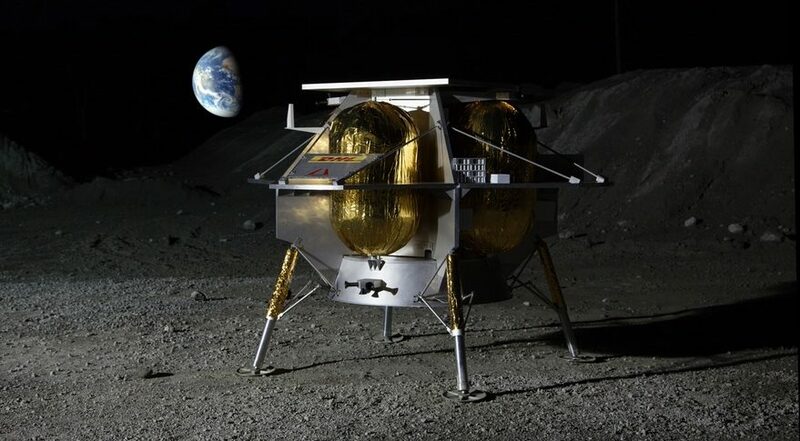 Private companies like Astrobotic have been using their own funds for years to develop private lunar lander capabilities. The Small Lander Initiative would make use of these private sector investments by buying capacity on these lander programs. Despite its historically low cost, the Small Lander Initiative would also provide for a robust cadence of missions. With a flight rate of about once a year or faster under the proposed budget, science teams would have regular, assured access to the moon to conduct investigations, learn from their findings and then build on their understanding with follow-up investigations. This assured schedule of multiple commercial missions carrying NASA payloads would validate the agency’s future use of private payload delivery services, and serve as a key demonstration for the rest of the lunar payload market, which is made up of international space agencies, research institutions, and private companies. As small landers work on the surface in concert with existing NASA exploration programs, they can also serve as important robotic precursors for an eventual human return to the moon. With a sustained campaign of robotic missions, the country can evaluate the habitability of lunar lava tubes, prospect for water ice at the lunar poles for propellants and life support, test the peaks of persistent light as a power source and get a firm grasp of how to make use of the moon to propel exploration. While small landers are placed at areas of interest on the lunar surface for future explorers, the proposed program would make parallel investments toward the development of medium-class robotic landers that are capable of landing 500 kilograms of payload on the lunar surface and feed forward to future human landers. This is a wise, incremental approach that would build up the nation’s lunar capability in a constrained budget environment, while also ensuring a near-term presence on the moon. Such an approach could not be timelier. The whole world is going back to the moon, and America must decide whether it’s going to lead this return or watch from the sidelines. Space agencies from China, Russia, South Korea, India, Japan and Europe have all outlined significant lunar plans. A key dimension of American space leadership this coming decade will be defined by whether America is present and leading on the moon or ceding its lead to other nations. The Lunar Exploration and Discovery program would ensure America is on the moon early, often, and in coordination with the American private sector. In the case of Astrobotic, it will be a proud moment when NASA payloads are lifting off to the moon from Cape Canaveral on an Atlas launch vehicle once again. Having spent now more than a decade growing Astrobotic in America’s Rust Belt, I can’t help but sense that our company and our country are about to embark on a historically significant era of new missions to the moon. Incredibly, NASA is just one budget cycle away from instituting a manifest of annual robotic moon missions. With the private sector making its own payload sales and its own lander developments, the country is now closer than ever to following up Apollo with a sustained, multi-year presence on the moon. John Thornton is the chief executive of Astrobotic.